Remember the days as a kid spent in the garden, playing in the mud, searching for buried treasure and looking for worms? They were the best, weren’t they? Kids (and some of us adults) love being outside and getting mucky! So why not channel that enthusiasm for getting dirty into getting your little ones involved with growing fruits and veggies? Not only do you get to grow tasty produce (and cook awesome meals with it), but it’s a great way to help the little ones learn more about the world around them and start to understand where the food they eat comes from. The trouble is: kids love things to happen quickly, and growing your own fruits and veggies is far from quick. The long wait between planting and harvesting can leave the little ones a bit bored once the initial excitement of playing around in the mud has died down. So how do you keep them excited and interested in growing their fruits and veggies from planting all the way through to harvest? Here are a few tips we’ve drawn from our experience of gardening with our five kids on how to make the whole thing a much more enjoyable experience for all of us! This is the ultimate tip for getting your kids excited about growing fruits and veggies: get them excited for the end result. 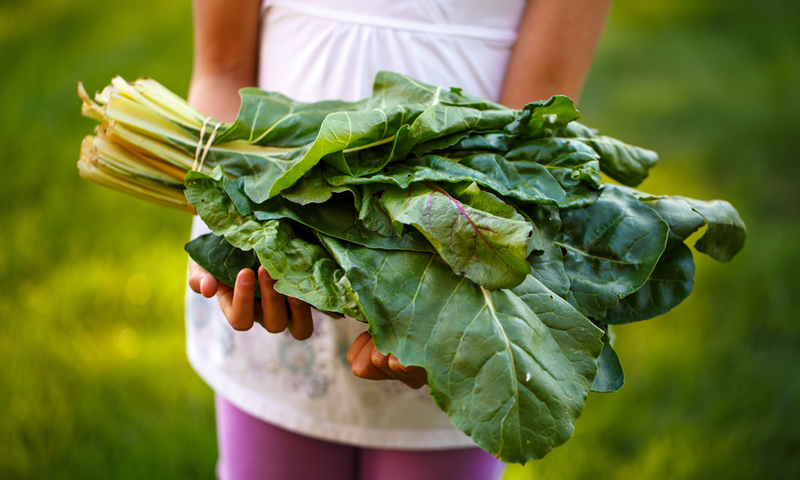 Even if you’ve already planned your garden, or purchased your Plantables ready to plant fruits and veggies, you can still get the little ones excited by letting them help decide what you’re going to cook with it when they’re ready to harvest. Not only is growing plants from seeds super tricky, but it’s also a very long process. Tomatoes, for example, take 6-8 weeks to grow from seed into a plantable seedling and then a good month or two after that to produce fruit! And that long wait between planting the seeds and harvesting the plant can make the little ones lose that initial interest and excitement. We’ve found that planting seedlings — plants that have already been grown past that seedling stage — means the kids get to do all the fun parts (digging the holes, playing in the mud, planting and watering the plants…) without so much time between planting and harvesting. Plus, skipping the seedling stage means you can be a little less precise about the whole process, so you don’t have to worry that the plants aren’t quite at the right depth or planted in dead straight lines. Neil deGrasse Tyson once gave a speech on how to raise kids to be interested in science. In that speech, he told the audience that “kids are natural scientists”. Of course, he wasn’t talking about toddlers pondering relativity, but instead noting that kids are naturally curious and want to try things — like dropping eggs to see if they break or pulling petals off of flowers — that might seem destructive to an adult, but are actually about them finding out how the world works for themselves. If you’ve got the space, letting your kids have their own patch of the garden to run experiments is a great way to spark their imagination and curiosity. Water some plants more and some plants less to see what difference water makes to the plant and the final produce. Add fertilizer to one plant and no fertilizer to another to see whether the plant is healthier and the produce is tastier. Don’t worry if your lines are a little wiggly or your plants aren’t quite at the right depth, growing your own fruits and veggies is about having fun in the garden and should be rewarding experience for everyone involved. So get your hands dirty, encourage your little ones to try new things and enjoy the experience of growing (and eating) tasty, healthy and brag-worthy fruits and veggies as a family! Of course, you might have a plant pulled out right after being planted (definitely speaking from experience here…), but that’s all part of the process. Learning (and gardening, for that matter) aren’t always pretty or perfect, but they should always be fun. We promise to only send you emails we think you’ll find useful or interesting. And, of course, we’ll never spam your inbox or give your address to any third parties.